With a slightly firmer texture than Carnaroli rice, Arborio rice is another classic choice for risotto. Perfect for making this dish, typical of Alicante. Famous for its delicate fruity aroma, this fragrant rice also reveals subtle notes of orange blossom and sea buckthorn. This naturally black rice has a delicious hazelnut flavour. A delicious mixture of long grain brown rice and black wild rice, cooked with Tamari soy sauce. The perfect recipe, ready in 90 seconds, to eat at your desk or with a salad. 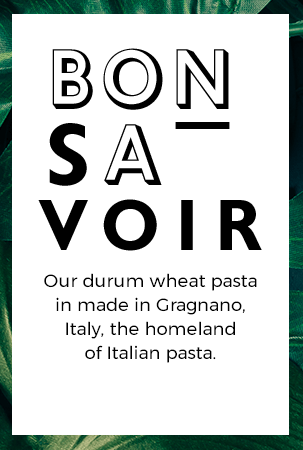 Produced in Italy by the Ferron family for five generations, rice famous for its quality. This rice is medium, round and semi-long, perfect for a delicious risotto. One of the great risotto classics, a delicious mushroom risotto. Once cooked, just add a good parmesan a drizzle of extra virgin olive oil. A robust rice, great for good cooking. Slightly longer than the Vialone Nano and with a slight taste of hazelnut. Produced by one of the great names of Italian rice, the Ferron family who have been producing rice since 1650, it is perfect in risotto, cooked in stock with mushrooms or seafood. Tenuta Margherita has cultivated rice for more than a century. Producing high quality rice, they offer this rapid tomato and basil risotto mixture. Flavours of Italy. Spanish rice cultivated with Pyrenean water. This rice variety is typical of Cinca Medio (Huesca). This rice cooks well and is perfect for risottos and delicious paella. Made by Tenuta Margherita, producers of quality rice since 1904. Once cooked, add a good Parmesan and some extra virgin olive oil - just perfect! Tenuta Margherita has cultivated and produced quality rice for more than a century. This risotto preparation made with Carnaroli 'superfino' rice will delight risotto lovers. Easy to prepare. A red-grained rice. With the shape of a long bean. Produced by the Ferron family in Italy, one of the great names in Italian rice, it is easy to cook and goes well with a good drizzle of olive oil or a seafood risotto, or it can accompany raw, marinaded fish.